Knowledge – Introduction to Design and Technology, safety using tools, paper engineering techniques, presentation styles in DT, basic electronic components. Design Skills – Pupils are encouraged to use their imagination and creativity to create a series of working fun pop-up card models based on taught techniques. They are then expected to use these techniques to design a simple card wallet torch and a pop-up greeting card. Practical Skills – Accurate cutting and shaping of card, use of card cutting tools (knives, guillotine, cutting mate), combining components. Homework: Weekly home learning tasks are set that aim to extend the learning of the classroom or allow pupils to demonstrate further understanding of the subject. All pupils are encouraged to look for examples of good design related to their projects and evaluate those designs and share them with the class. Design Skills – This project focuses on taking the student through the design process. Creative thinking is used in the process of designing their key fob. Computer Aided Design is integral to this project. Practical Skills – Students work with wood, metal and plastics using both traditional hand based manufacturing methods, simulated industrial processes and Computer Aided Systems. Knowledge – Mechanical systems, motion, the design process. Design Skills – This project focuses on the application of mechanical systems to create movement. A variety of methods for presenting ideas is explored and design ideas are developed through modelling and iterative design techniques. Pupils are shown how to plan a sequence of making activities to deliver an outcome to a deadline. Practical Skills – Students work with wood, using both traditional hand based manufacturing methods, and Computer Aided Systems. The focus is on accuracy and quality. Knowledge – focus on drawing objects in 3D, step by step techniques for shading and rendering simple objects, key points emphasised, light and dark areas thinking about light on an object. Design Skills – looking at professional design sketches, skills and tips for presenting students designs. Practical Skills – experiment with techniques, explore different media, presentation. Knowledge – Material properties, the design process, evaluating existing products, identifying target market groups, health and safety in the workshop. Design Skills – This project focuses on planning the making stages of the project and sequencing tasks for maximum efficiency. Computer Aided Design is integral to this project. Practical Skills – Students work with metal using traditional hand based manufacturing methods, simulated industrial processes and Computer Aided Systems. Knowledge – Electronic components, systems and control mechanisms, industrial plastic processing. Design Skills – This project focuses on using simple electronic components to create a automated system. When designing, pupils are encouraged to use a range of iterative design procedures to refine and improve their ideas. More advanced CAD techniques will be taught. 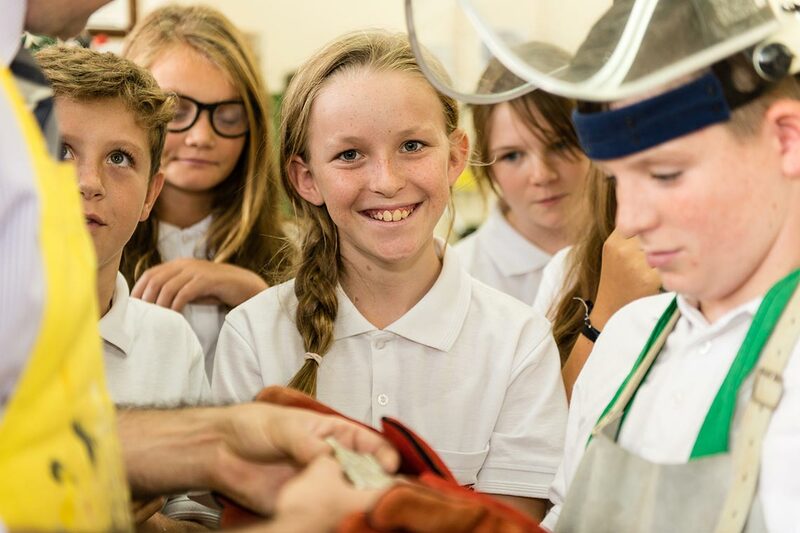 Practical Skills – Students work with plastics using both traditional hand based manufacturing methods, simulated industrial processes and Computer Aided Systems. Pupils also learn how to connect electronic components as part of a simple circuit with input, process and output phases. Design Skills – This project focuses on the application of mechanical systems to create movement and mechanical advantage. A variety of methods for presenting ideas is explored and design ideas are developed through modelling and iterative design techniques. Knowledge – Designing for markets, understanding cultural needs, combining materials. Design Skills – In year 9 pupils are encouraged to apply all the skills they have learnt in earlier years to create original designs that appeal to a target market group and are successful as products. They are expected to be able to design products that could be batch produced and explore methods of achieving this. Practical Skills – Students work with wood, metal and plastics using both traditional hand based manufacturing methods, simulated industrial processes and Computer Aided Systems all at a more independent level than they have before. Knowledge – Control systems and their uses, advanced industrial production techniques including production lines. Design Skills – Students work as part of a team to assess skill sets and assign roles. They will use advanced CAD systems to create professional standard design work. They will be expected to be able to present ideas to their team and modify them in the light of feedback. Practical Skills – Students work with wood, metal, plastics and card using predominantly emerging technologies and a range of advanced electronic control systems. Knowledge and understanding: Hardwoods, softwoods and manufactured boards. How timber is used in manufacturing inc. lamination, bending & flat-pack industry. Problems with timber, timber production & finishes. Designing Skills: How to adapt an existing design for a new purpose, understanding a client brief and writing a specification. Isometric and orthographic techniques, to British Standards layout and dimensioning. Making Skills: Routing, how to join timber with permanent / non permanent methods & fastenings. How to make a simple finger joint in softwood. Various other skills as and when needed by their own designs. Homework: Theory of wood materials, manufacturing, industrial processes and product case studies. Revision required for small class tests and the end-of-topic woods test. Knowledge and understanding: Ferrous, non ferrous metal & alloys. Designing Skills: Variety of AQA recommended designing techniques such as scruffitti, jack straws and being inspired by nature. Development of an idea through consumer feedback. Making Skills: material selection, accurate marking of materials, cutting, filing, polishing, drilling, tapping and threading, folding, preparation for painting, spray painting techniques. Introduction to using the centre lathes and power hacksaws. Joining metals using mechanical fastenings, and heat – gas and electric welding, brazing, soft soldering. Homework: Theory of metals, manufacturing, industrial processes and product case studies. Revision required for small class tests and the end-of-topic Metals test. How to help: Useful websites:Students should aim to become increasingly aware of the metals and metal products that surround them everyday. Using case studies, which materials are used & why. What manufacturing methods are used and what finishes have been applied (and why?). Knowledge and understanding: Thermo-sets/ thermoplastics and their composites. Modern industrial manufacturing processes – including; injection, blow and rotational moulding, vacuum forming & calendaring. Compression moulding / casting. Designing Skills: Using CAD to develop & model their designs. Using CAD to then cut on the laser cutter and print using 3D printers. Making Skills: cutting, filing, polishing, joining using solvents and adhesives, bending, vacuum forming & simple injection moulding. Homework: Theory of materials, manufacturing, industrial processes and product case studies. Revision required for small class tests and the end-of-topic plastics / composites test. How to help: Most of the materials learning should now be complete. The students should be thinking of project ideas for their final assessed coursework. They should be using the school intranet to view & previous students work and to consider the project briefs set by the AQA exam board. Homework: There will be short sections of theory input throughout the term to prep for the Mock exam. This will be supported by exam questions set in the past paper homework book. How to help: Useful websites: Please encourage positively the need to keep to deadlines and ask your child to show you their designs. They will be able to do theory research using the internet. AND Their final manufactured product!!! Homework: Students will be given specific tasks to do at home, if & when required. They will also continue to get past paper practice questions. Justification and Explanation of Modifications & Improvements. This will only take the first 2 weeks after Easter. Then exam theory and preparation will fill all the remaining time until the June exam. This will include preparing for the context set by the exam board. Homework: There will be homework which is geared towards the final examination and learning of the more difficult examination topics. The students will be expected to revise if no formal work is set. An excellent website for revision is www.technologystudent.com This is written by a D&T teacher and covers many areas of Technology. The main areas that should be looked at include: Resistant Materials, Product Design, Equipment & Processes and the test sections of the Health & Safety area. BBC’s Bitesize has a small number of quizzes and tests – but the above websites are more useful.